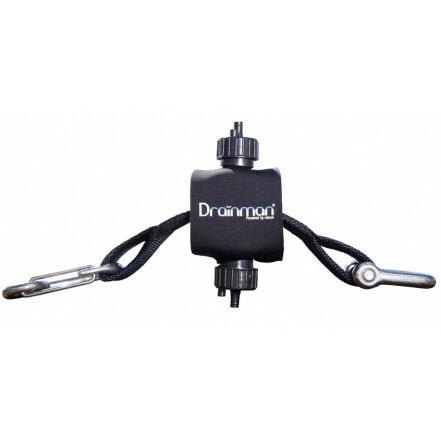 The Drainman is an innovative, fully automatic, bilge pump which is powered by the tug on a mooring line created when the boat moves with the wind and waves. It will reliably keep your boat dry and afloat, simply and efficiently. Once installed within the mooring line (it has a tensile strength of upto 10,000 Newton) it can drain upto 2500 litres (550 gallons) per day allowing you to leave your boat unattended, without the worry of stuck float switches or flat batteries. Supplied with 3m suction hose featuring an easy to clean filter to stop sand, seaweed and grit clogging the hose.